They are designed to help protect occupants in certain side impacts and to help prevent them from ejecting out of the vehicle as a result of a rollover, especially when the seatbelts are also in use. The curtain air bags are designed to deploy during certain side impact collisions, depending on the crash severity, angle, speed and point of impact. The curtain air bags do not only deploy on the side of the impact but also on the opposite side. 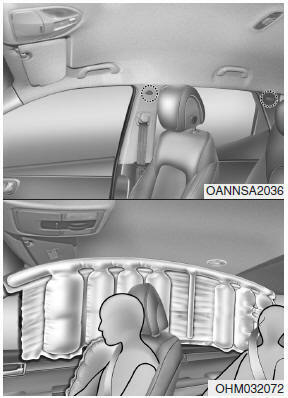 Also, the curtain air bags on both sides of the vehicle will deploy in certain rollover situations. The curtain air bags are not designed to deploy in all side impact or rollover situations.